What is a Top-up Home Loan and How to Use It? Damini Bhaskar took a housing loan from a bank three years ago. She had bought a bungalow, which had a ground floor and an added storey. Now, she plans to get another storey constructed, but she lacks the needed funds for it. She wants to take a loan, but already has an active home loan on the concerned property. How can she receive more funds on the same bungalow for which there is an existing loan already? Well, she can opt for a top-up home loan to get the required funds. A top up loan will give her the facility to take a loan amount over the existing home loan. The period of such loans is usually up to 10 years, which is offered only latter to a few years of the housing loan disbursal so that the bank is able to judge the client’s repayment record. 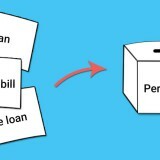 How to Utilize a Top-up Loan? Consider you need added finance on your housing loan. Your outstanding loan amount with the bank is already on a decrease since you are repaying in instalments. A top up finance allows you to receive the margin towards securing money that you urgently need for your house. A top up home loan can also be utilized for many purposes, such as paying for renovation, new construction, adding on to the property space etc. Some say that such financing method is almost like a personal loan, however, the interest rates are much cheaper but not as good as that on the housing loan, yet based on previous rack rates. The tax benefits depend on the loan’s purpose. For example, if the top up housing loan is used for a part of the property acquisition, then you could be eligible for a tax rebate for both the principal and tax you have to repay for the top up loan and the housing loan. You can get a top up only if there is an existing home loan, which you need an extension on. The bank will look into the outstanding loan amount, ability to repay the top up, and market value of the property to consider the amount it can offer as a loan. From bank to bank, the conditions about eligibility shall differ. Upper limit of the amount to be disbursed depends on the above-mentioned three features. It is best to ensure that the top up loan along with outstanding amount you need to pay the bank must not exceed greater than 70 percent of the property’s market value. In case you wish to apply for a top up finance with the same bank from which you took the existing housing loan, then you can go ahead. However, the same bank may not have the facility of offering a top up loan. 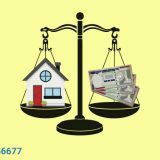 In such cases you can choose home loan transfer to another bank that provides a good deal on the top up finance as well as home loan transfer. 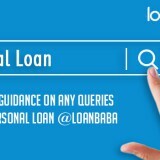 Next story Why choose Business Loan over Personal Loan for your Company?